Invectys will be attending the BIO-Europe Spring 2019. 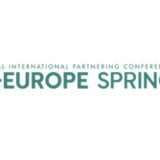 BIO-Europe Spring aims at bringing together the “who’s who” from the Pharma and Biotech world, foster partnerships and give participants an overview of investing opportunities and partnering and development strategies. « This year’s event in Vienna will bring together the “who’s who” from the biotech, pharma and finance segments to allow delegates to meet more key decision makers in three days of partnering meetings than they could in a whole year. Access hundreds of potential partners with the world’s leading web-based partnering system, partneringONE®.